The Battle of the Cats goes on since the first Robertson show in 2013, whereby the public vote for their favourite cat. 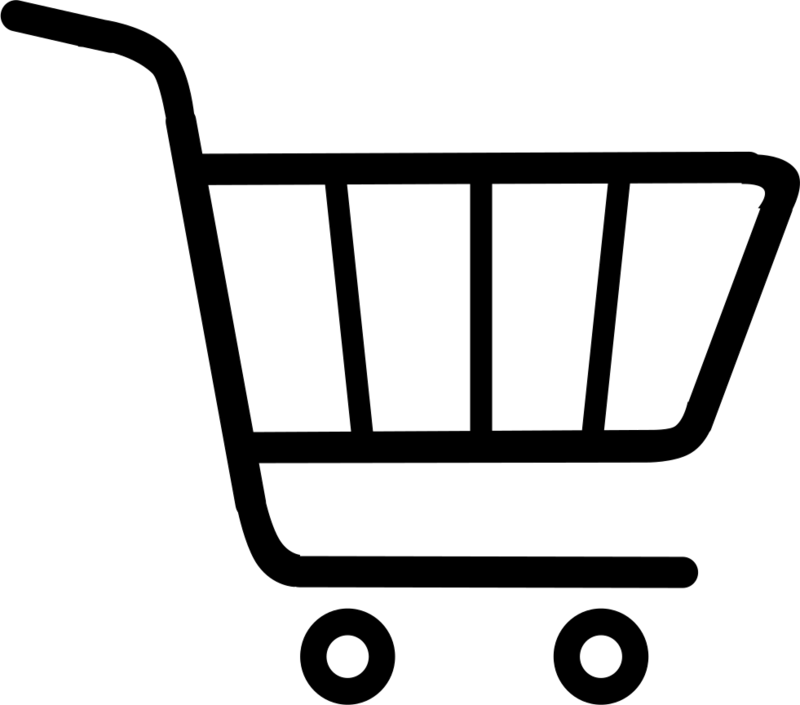 Depending on where the owner lives, the cat is classified as either a City Cat or a Country Cat. The cat with the highest votes in each class wins the appropriate "City Cat" or "Country Cat" award. Between these two cats, the one with the highest score gets the additional title of "Festival Winner". It seems that the Original Longhair Silver cats, which in general speak are referred to as "Chinchillas", are the most popular among the public. 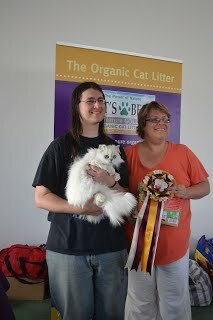 This year the Festival Winner, like last year, was a city cat Chinchilla. The name of this year's favourite is SA Double Grand Champion Cherie-Finesse Freddy Mercury, dred by Alida Delport of Stellenberg. 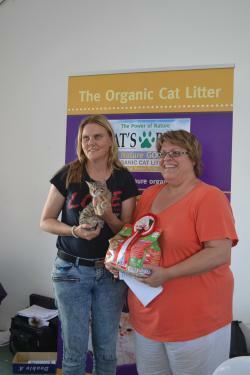 The Country Cat award went to a lovely domestic kitten named Piering Fouché, owned by Marlet Fouché of Robertson.